Tough cordura nylon over shock absorbing foam with a rigid thick foam padded cantle to help protect that little rider from injury. 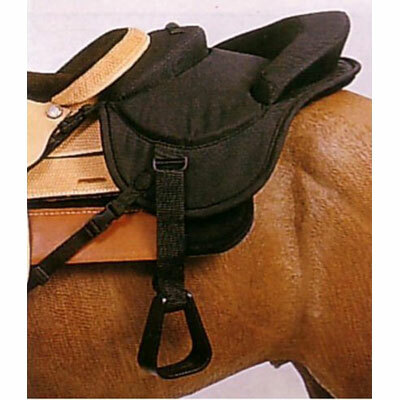 Attaches securely to the back of most western saddles. Complete with stirrups and adjustable nylon straps. Black only.